Harris was responding to questions about incidents at a home in Strokestown, Co Roscommon last week and at the weekend. The property was repossessed last week by private security personnel. There were scuffles with the family who lived in the house and with people who had turned up to support them. There has also been widespread criticism of the actions of a large group of people who entered the property in the early hours of Sunday morning to take it back. Three people required hospital treatment and a security dog was injured and had to be put down as a result. A number of vehicles that belonged to the security company were also set on fire. Harris told reporters in Dublin that gardaí were “facing a very difficult and tense situation developing”. “Undoubtedly in the very early hours of Sunday morning serious crime is alleged to have happened,” he said. He said local gardaí are conducting a full investigation. Harris said gardaí are not there to supervise, they are there to prevent a breach of the peace and prevent crime. “We make sure that things don’t, in effect, get out of hand and offences aren’t committed and the situation doesn’t deteriorate. These actions are a consequence of court orders and we have an obligation as a society that believes in the rule of law to also believe in rule of law as it pertains to civil action. That is our function. These matters are carefully planned and there’s no way any of my personnel would stand aside and watch a violent encounter, they would intervene. He said they are there “specifically to prevent that”. Minister for Justice Charlie Flanagan also commented on the incident and said there is “no place in this country for vigilantes”. He also said he hopes that if people are “inciting lawbreaking” on social media, that they would be brought to justice. 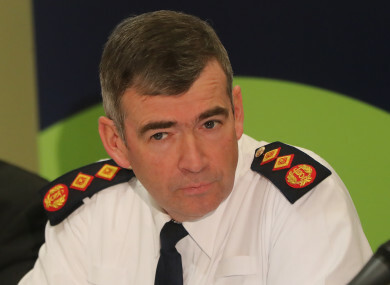 Email “Garda Commissioner: My officers would not stand by and watch violence at an eviction”. Feedback on “Garda Commissioner: My officers would not stand by and watch violence at an eviction”.